RockYou has just released a new game for iOS and Android devices called Bakery Blitz, and according to the game’s story, lead character Sugar is “on a mission to restore sweetness to the world.” You’ll be tasked to help her out in baking and serving up desserts, traveling from one area to another “in a magical airship bakery.” The game’s features mostly include different kinds of treats you can cook up, including triple-layer chocolate cakes, fresh fruit-topped tarts, red velvet cookie ice cream sandwiches, lattes, lemonades, and even more. But before you think that this is another Match 3 game, Rockyou goes on to actually discuss the features. 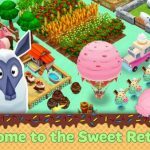 These features include “quirky” customers that have their own personality traits, power-ups that can speed up your work and satisfy your customers, and “tons” of “sweet” levels. Yes indeed, this is definitely a cooking game, and not a Match 3 game, despite the title suggesting that it’s either one of the two. 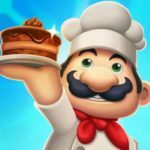 You may know how the mechanics go if you’ve played other cooking/restaurant simulators, but as you’ll find out, there are enough twists to make this a unique title that can stand on its own. 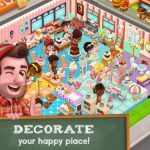 So read on as we now bring you our Bakery Blitz tips and tricks. There’s a pattern of sorts when it comes to serving your customers in the game. As you’ll notice soon enough, everyone orders the exact same thing when they head to your bakery. For instance, you’ll observe that the blonde woman driving up in her car will opt for a round strawberry cake with filling, provided that dessert is already unlocked. Other customers have their own “favorites,” so keep this in mind so you can stay one step ahead of your customers. After successfully serving a customer and completing their order, they’ll leave a tip for you to manually collect. Most of the time, you can go ahead and collect that tip. But if you’ve got too much on your hands and you’ve got too many customers coming in, you can try this “tip on tips” out, because it works quite well in lessening your load. If you choose not to collect your tip, another customer can replace the one before them until you collect it. That’s a good way to slow the pace down and help you focus on more customers, but you wouldn’t want the tip to be left there for too long. They’ll automatically be collected after a few seconds’ time, so be prudent when using this strategy. 3. What Does The Holding Plate Do? The holding plate is a very important piece of equipment, and once you unlock it, you’ll want to use it as often as you need to. The holding plate, as its name suggests, holds different food items, and you can use it to hold specific types of food while waiting for customers to arrive. Using the example on the first tip, you can hold that round strawberry cake with filling while waiting for the blonde girl to arrive and order it. When she arrives, it’ll be ready to serve up. Use this tip in connection with the first one – remember each customer’s favorite order, and make good use of the holding plate to get the most mileage, so to say, per level. Just like it is in other games, you will have to deal with the rapidly soaring costs of upgrades. They start out fairly cheap, but as you keep leveling up items, the price of upgrades could rise exponentially. But you can earn more money for those upgrades by completing your goals. These are optional objectives that can be achieved naturally by playing the game, and most of them can reward you with coins, or maybe tickets or other types of freebies. Focus on achieving those goals and you’ll have more money faster. Now, this may require you to be at the right place, at the right time, but if you’re lucky enough and are able to time your moves properly, you can string together a combo. A combo of what, you may ask? We’re talking about a combo, or a “chain” of tips, and if you want to string together one faster, you should leave tips at the counter whenever possible. Once you’ve got enough of them on the counter, collect them in quick succession to earn some sweet bonuses. 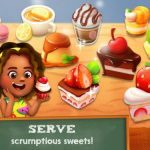 This wraps up our guide for Rockyou’s new cooking game, Bakery Blitz. In case you happen to know some hints, that we haven’t included in this guide, then be sure to let us know! Is there a menu preview option somewhere? i cannot figure out level 76 how to wrap the ice cream sandwich in the red wrapper~ it would be very helpful to have a practice menu option so you at least know what you are supposed to do. How do you make cotton candy in the Arena level? Excellent question. I’d like to know the answer to this, too. How do you make the bread a darker purple on Bakery Blitz level 166?